Specializing in films, books, & adventures that can't be put in a box. The Kodiak Solar Generator is a plug-and-play system that’s super easy to set up and use. Even folks like me, who aren’t well versed in electricity, can get up and running fast. If you’re looking for simple, easy-to-use solar power for van life, camping, tailgating, prepping, or whatever else, this system is it! Watch my in-depth review to learn more. If you decide to get one, use promo code: sergei20 at check out and save 20%. 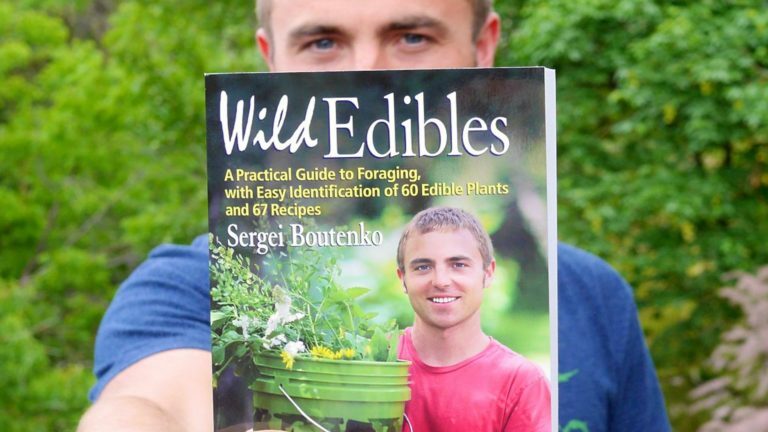 Foraging for wild edibles doesn’t have to be a chore. It can be as easy as stepping outside into your own backyard. Don’t know where to start? No problem! Join me on a digital weed walk and discover over a dozen new plants that will enrich your cuisine and improve your health. Feel free to watch first and forage later or, for extra bonus points, load the video on a mobile device and take me with you while you search for plants. Regular green smoothie consumption can help you lose weight, improve energy levels, reduce craving for bad food, and make you feel all around awesome! The new and improved 30-Day Green Smoothie Challenge offers yummy smoothie recipes, detailed ingredient shopping lists, and valuable tips and tricks that will help make your new healthy habit stick. Give it a try; you won’t regret it! Watch the movie for free on YouTube and get the satellite eBook below for easy access to recipes, shopping lists and more. I’ve used many different blenders over the span of 24+ years in the health food world. I’ve tried Blendtec, Ninja, Magic Bullet and dozens more. I’ve also been to 66 countries and used countless domestic machines made by competitor brands. Despite such extensive trials, I always return to my Vitamix. It’s a simply the best! Vitamix blenders are durable, last a long time, and have the best warranties in the game. That’s why I recommend Vitamix! Hire me to shoot your next viral flick. I produce quality videos from start to finish. I specialize in promotional videos for websites, documentaries, and YouTube content. I have a fun, unique style and 12+ years of experience. In the market for aerial photos or videos? No problem! I’m an FAA certified drone pilot. I’ve gathered drone footage for Mercedes-Benz commercials, shot photos for exclusive real estate clients, and everything in between. Do you have an interesting product you’d like to promote? I love reviewing cool products on my YouTube channel. So far, I’ve reviewed products in the health, fitness, electronics, and Sprinter van categories. Please see my work below.